The author of Undermajordomo Minor answers eight questions submitted by eight other authors. 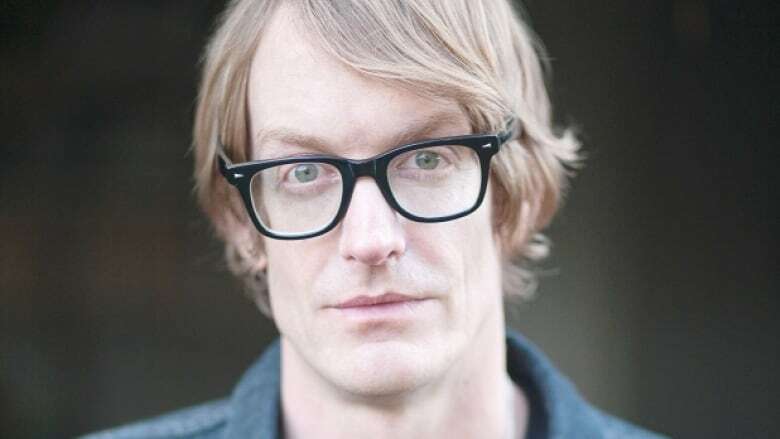 Patrick deWitt's 2011 literary smash hit, The Sisters Brothers, won a slew of awards and put deWitt on the literary map. Expectations were high for his latest novel, Undermajordomo Minor, and it's been met with resounding praise from critics and fans alike. Below, deWitt answers eight questions submitted by eight of his fellow writers in the CBC Books Magic 8 Q&A. 1. David McGimpsey asks, "If you were to pair your latest book with a signature cocktail, what is that cocktail called and what's it made of?" Pear brandy on the rocks, but the ice is actually cubed, frozen cheese. Let's call it a Blue Boy. 2. Russell Smith asks, "What is the musical soundtrack to your latest book?" Tough one. I'll say it's Tsege Mariam Gebru's "Spielt Eigene Kompositionen" [Gebru is an Ethiopian nun known for her piano playing] played in its entirety, followed by the Benny Hill theme song, as a palate cleanser. Highly laudable, in my opinion. Humorous writing is often thought of as substandard in comparison to work with a more dramatic or tragic intent. I don't know what to say to this except that I disagree wholeheartedly. Unfunny people should be locked up, the key tossed into a smelter. 4. Charlotte Gill asks, "If you could ghostwrite the biography of a famous person, alive or dead, who would you choose?" I wouldn't want to write a biography of anyone. I'd feel too inhibited by the facts, and too much pressure to do the subject's life justice. 5. Karen Solie asks, "Do you remember who you were reading when you first realized, not that you wanted to be a writer, but that you were intrigued by writing and what it can do?" I remember discovering Hubert Selby, Jr. [the author of Last Exit to Brooklyn and Requiem for a Dream] in high school and being affected by how the work was at once so emotionally violent, but also so beautiful. I saw Mr. Selby read during this period. He was physically slight, and had obviously suffered long periods of poor health, but he exuded a strange, calm elegance, and I was very much impressed by him. 6. Lynn Coady asks, "What are the common themes (or settings, symbols, etc.) you always seem to come back to in your fiction (like bears, wrestling and Vienna in John Irving novels)? Where do those elements come from and what makes them so tenacious?" I seem to focus on people who aren't particularly well suited to their positions. I suppose this comes from my own hapless experiences in the workforce. 7. Marina Endicott asks, "What is the line of prose or poetry that comes to you in the dark night of your soul?" I just scanned my bookshelves, thinking to locate a suitable line to match the question, but possibly it's best to be honest and admit that: there isn't one. 8. George Bowering asks, "If someone publishes a book you had not finished writing at your death, is that okay?" It is not! Many's the dead author whose body of work has been marred by overzealous publishers or family members. If this happens to me I vow to seek out the responsible parties and haunt them to the point of death.